Have you watched every Chinese movie you can get your hands on? Are you a master at impressing your Chinese friends with knowing the lyrics to all the popular KTV songs? Or perhaps you have taken every FluentU course there is and have already tried to download every podcast available to you? Maybe you have tried all the above and more, yet you still want an extra push to completely immerse yourself into the Chinese culture. This is where Chinese talk radio can come in handy. You may be thinking since you do not live in China, it will be impossible for you to find anything. On the contrary, there are countless stations with a wide variety of programs ensuring that you will always have something new to listen to. Sure, it is not as easy as listening to it in the back of a taxicab in Shanghai, but the good thing is, now many radio stations will have online versions that you can access. Once your Chinese listening level is good enough to understand normal, fast-paced Chinese, you should start incorporating native radio stations into your practice. You will need to be at an intermediate Chinese level or above to get the most out of the listening, but listening to Chinese talk radio can also be a good resource for less advanced learners if you do not have any Chinese-speaking friends. Why Listen to Chinese Talk Radio? Chinese talk radio primarily allows you to focus on your Chinese listening comprehension skills, but there are several other benefits. Get accustomed to the tones and sounds. 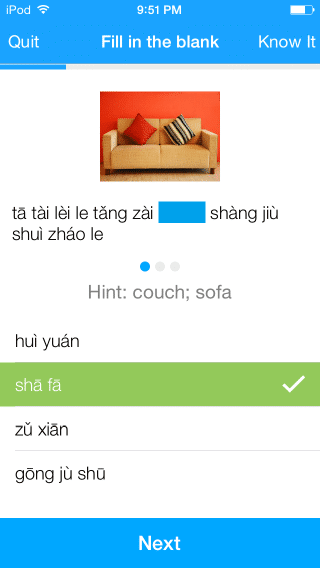 One of the hardest parts of learning Chinese is mastering the accent. Since English is not a tonal language, it can take years of practice to sound like a native. A way to speed up this process is to listen as much as you can. Learn a variety of accents. Depending on what station you choose, you can hear a variety of accented Mandarin. Some people think it’s only important to learn “标准中文” (biāo zhŭn zhōng wén – Standard Chinese). Remember though that there are more than 200 individual dialects, and accents will slightly differ across China. No one will force you to know how to speak every accent, but it is good to be able to understand and catch the differences. Learn vocabulary based on current events. When you learn Chinese from a textbook, you can easily get stuck learning generic vocabulary that you may or may not frequently use in daily conversations. Chinese talk radio gets you out of this slump and into hearing about current things going on, from local Chinese politics to top restaurants in a Chinese city. Gain cultural insight. Another reason why you should try and listen to Chinese talk radio is because within just a few sessions, you can gain valuable insight into local Chinese culture. There are programs about Chinese war history, love stories, and even detective stories. Learning a language and culture go hand in hand, and talk radio is an excellent way to continue building your vocabulary. There are many ways you can benefit from listening to Chinese talk radio, but for the purposes of this article we will focus on four general categories of listening to learn Chinese. These four categories are just guidelines and will blend into each other. As the name suggests, background listening is defined as listening not being the primary focus of your attention. Tip: Have Chinese talk radio on at a low level while you work, are reading something else or are talking to other people on the phone. Passive listening is slightly different than background listening because it is more active and you are required to pay more attention. Activities include listening to the radio while you cook or while you are driving. Tip: Set the Chinese talk radio station as part of your morning routine. This ensures that every morning while you get ready for the day, you are getting some Chinese into your brain. When you have a session of active listening, you are completely focusing on learning Chinese. This may include following along with subtitles or the transcript while you pick out each phrase. Have a notebook next to you to jot down vocabulary to look up later. If you are listening to the online version, try going back or pausing to make sure you really understand what is being said. Tip: Carve out at least an hour a week (or as much as you can afford) specifically to listen to Chinese talk radio—but break this up into smaller chunks of time. Once you find a program you like, you can create a stable schedule to follow. Try and find a quiet place each week where you can focus without any outside distractions. This last category takes active listening even a step further. Deliberate listening is not only active listening, but it’s planned out and may require preparation before and an analysis at the end. When you are scheduling deliberate listening, try and choose slightly harder material that takes effort. Tip: Perhaps you can push yourself a little harder every now and then in your active listening sessions and give yourself an extra challenge by trying to write down what you hear. 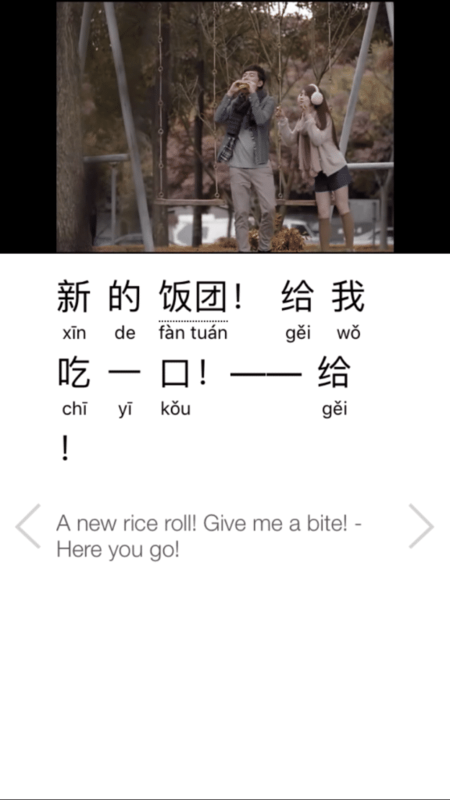 This way you are practicing both your Chinese listening comprehension and writing skills. By switching between background, passive, active and deliberate listening, you can fully immerse yourself into your Chinese listening practice. 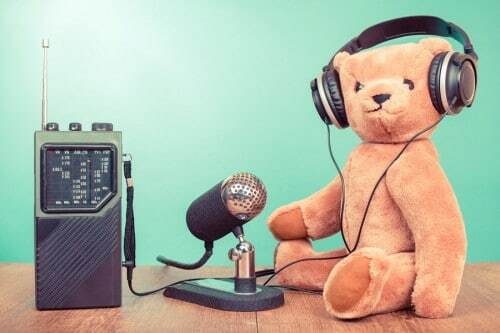 There’s a lot out there, so here are some factors to consider when choosing the best Chinese talk radio shows for yourself. Authentic Content: Most talk radio programs will not be scripted, and the language used is natural and relaxed. Though there is nothing wrong with scripted material, having authentic content mirrors what you would hear in a conversation on a street and can be more beneficial. Content Focused on Speaking: Music is great for background listening, but the heavier the focus on speaking, the more you will get out of your learning practice. Content Transcripts Available: Transcripts are important to look out for—especially when you are at an intermediate or lower level—because you may find it hard to catch everything that is being said. Even if you only understand a certain percentage, Chinese talk radio will still be a great benefit to your learning. Download the transcripts and read the subtitles while you are listening to make for a more engaged session. Free and Downloadable Content: This is purely for convenience sake, but in the end it can play a huge part in whether you actually listen to Chinese talk radio. Many Chinese talk radio programs will now be available free online to stream and sometimes even available as mp3 files. Variety of Programs: A mix of topics not only can boost your vocabulary, but also make it easier for you to listen to. From pop culture to food or finance, you will be able to find something you are already interested in hearing about on Chinese talk radio. 上海人民广播 NEWS 990 (shàng hăi rén mín guăng bō): The schedule for Shanghai News includes morning news, sports news and call-in shows. Call-in shows are spontaneous and engaging to listen to. If you are unsure of where to start, try the “东方讲坛” (dōng fāng jiăng tán – Oriental Tribune). It comes on during the weekends from noon to one, China Standard Time (CST) and offers great insights into Chinese community, citizens and society. LoveRadio 103.7 FM: This station is mainly music, but will include some fun stories in between songs. For example, every week day at 10 pm CST 阿彦和他的朋友们 (ā yàn hé tā de péng yŏu men – A Yan and Friends) comes on the radio. Mainly hosted by DJ Ayan, this hour-long show is the perfect way to get a mix of Chinese music and listening into your day. 戏剧曲艺广播 (xì jù qū yì guăng bō): The Drama station is the perfect place to find more on Chinese culture and history. Here you can listen to Chinese traditional opera or learn about Chinese tea gardens. Listening to this station will make you quickly feel as if you have entered into the local streets of China. 上海故事广播 107.2 (shàng hăi gù shì guăng bō): Shanghai Stories includes entertaining stories narrated by nine different hosts. These will last anywhere from 5 to 20 minutes and are great if you want to squeeze in a little Chinese throughout the day. RTI is excellent for the beginning to intermediate learner because it has transcripts available for many of their articles, and both audio and text is easily accessible through their website. They also have an app which makes it easy for those with iPhones or Androids. 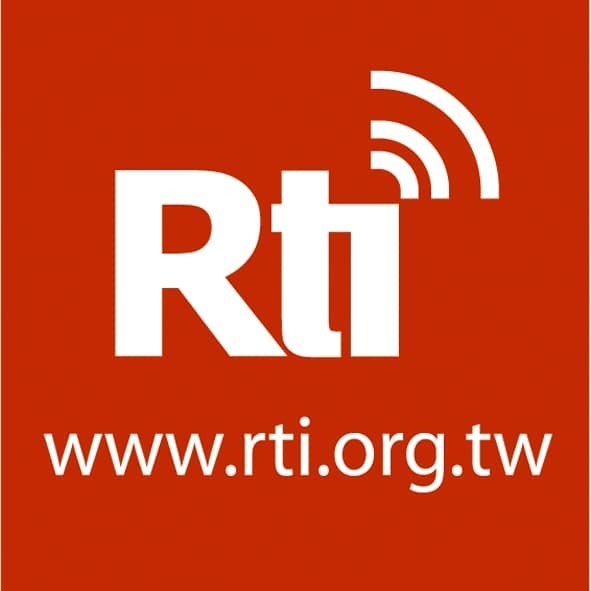 Do keep in mind, though, that RTI is a Taiwanese radio station, so there will be a Taiwanese accent. 新闻 (xīn wén – News): You can find events ranging from local Taiwanese news to international events here. Programs will start at 7 AM CST with the Morning News and the last program ends at 12AM CST. 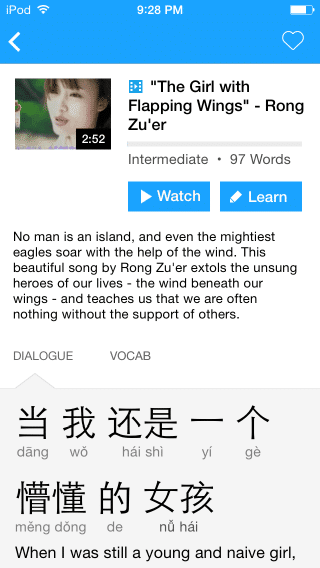 节目 (jié mù – Channels): This section includes Chinese stories and dramas, and you can choose from a variety of hosts. This is the category to go for if you are looking for something a little more relaxed than the news or politics, or if you want to learn more about Chinese popular culture. You could listen to “毛泽东重返人间” (máo zé dōng zhòng făn rén jiàn – Mao Zedong’s Return to Us), a fantasy novel about political China; or “婚姻的故事” (hūn yīn de gù shì – A Story About Marriage), which examines the love lives of younger generations through this novel. Each episode will last around twenty minutes or so, and is perfect to fit into shorter amounts of time. 影音 (yĭng yīn – Video): Though not technically Chinese talk radio, this section includes engaging videos that may be worth checking out. From society and places to finances or sports, they have a large range of choices to pick from. If you are looking for a search engine website for more Chinese talk radio, TuneIn can be quite helpful. 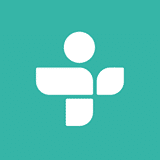 TuneIn is a website that gathers information for radio shows and stations. TuneIn is a beneficial resource because it is free and conveniently available as an app for your iPhone or Android. Here you can find Chinese talk radio stations from all over the world, including Chinese Radio Network based in New York and CRI News Radio in Beijing. CRI News Radio runs 24 hours a day, and has programs for all interests, including “环球教育” (huán qiú jiào yù – Global Education), “新财富时间” (xīn cái fù shí jiàn – New Fortune), and “听电影” (tīng diàn yĭng – Movie Listening). Make sure you check the time of when you plan to listen to each program, as they will vary on topics and hosts. You can always ask your Chinese friends or teachers what talk radio stations they listen to for even more ideas. This article should give you a good idea on how to start using the large resource of Chinese talk radio for your daily Chinese learning.